House of Vans Melbourne is kicking off a two-day pop-up event at The Meat Market on Friday and Saturday November 10-11, 2017. The all-ages day sessions will kick off with the Vans skate team hosting workshops including learn to skate classes with Jesse Noonan of Rock N Slide Skateboarding, grip tape design workshops with Jimmy Roche and a Skate Photography and Videography workshop run by Andrew Mapstone to teach budding skate photographers how to refine their craft. The workshops will run over both Friday and Saturday with limited capacity: registration is essential. Saturday afternoon will see a stripped-back, musical performance from Little Brother (Trophy Eyes’ John Floreani) with support from Alex Moses (Columbus). For all the details and to get free tickets to it all follow the jump. Don’t even think that the only parties Vans throws are in high and dry swimming pools. No, they throw house parties, too. And the this summer run of parties kicks off on May 19, 2016 with Jon Hopkins, The Black Madonna, and The Field at The House of Vans Brooklyn. 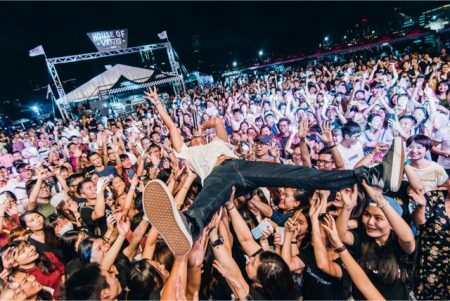 In partnership with FYF, the 2016 Vans House Parties offer a rare opportunity to experience some of the best live music programming out there in a truly unique and historical art setting that celebrates Vans’ rich “Off The Wall” heritage in one of the most culturally diverse cities in the world. And to us it’s just a great free show. For the official word from Vans (and how to RSVP), click the link. On Thursday, October 12, 2017 Vans invited a large crew of skateboarders, surfers, snowboarders, BMXers, artists, musicians, and street culture and action sports industry heads to the grand opening (aka Homecoming) of their new World Headquarters in Costa Mesa, California. In his welcome to the gathered masses Vans Global Brand President Doug Palladini said this building is more than an office. It is a new home. It is also a step into the future for the iconic footwear brand. “We’ve had a lot of interesting offices,” Palladini says. “They’ve always been in factories, parts of distribution centers, or leased tiltup buildings, but we’ve never had a place that we could call our own. It is such and honor to have you here to help us celebrate what is really the first truly Vans building we’ve ever had. “There are 525 people who work in this building,” he continued. “But as our global headquarters we represent more than 10,000 Vans employees who work on our brand all over the world. We have stores and offices in 85 countries around the world and they can all look at this place and consider it their home. “But it’s not just our employees who are family here. We’re also proud to welcome those who represent the thousands of athletes, the artists, the musicians, and the street culture leaders who make up our extended family. 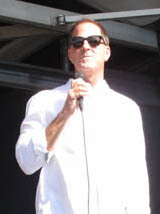 Those who inspire us by bringing their own form of creative expression to life every day with everything they do. So thank you to everyone from our extended family who is here today as well. “The final thing I want to say before I introduce the person you’re all here to see is that while this building and it’s surrounding space may represent the incredible success that our brand has enjoyed to date, it by no means means that we’re done. In fact, we’re just getting started. We’re just starting to understand everything that Vans can be. No matter what we are we are going to remain committed to being a family business. Word. For a photo gallery of a few of the people and places we saw (but didn’t have time to write up), please click the link. See all those Vans Old Skools on nearly everyone on the street under 60? Well, get ready to see a lot more as VF Corp rolls out plans to nearly double Vans’ annual revenue by 2023 to $5 billion. Tom Schaar, the defending Vans Pool Party champ returned for the repeat in the 2018 pro division on May 5, 2018 at the Vans Skatepark at The Outlets at Orange. Chris Miller took the legends (of course) and Sandro Dias snagged a Masters division win. For the rest of the results, please follow the jump. Vans today announced the return of their 2018 Vans Hi-Standard Series, annual international snowboard event. And you can go. Kicking off a sprawling world tour in Ontario, the tour will visit Canada, China, South Korea, Finland, and the US, bringing this all-ages snow series around the world to invite riders to showcase creative expression in a fun open-jam format. Featuring a big air session where participants are judged solely on their individual style with no inverts or spins over 720 allowed, regional MVPs will win an all-expenses paid trip to the grand finale show at Sierra-at-Tahoe for a chance to snowboard with the Vans snow team and battle it out for the 2018 Vans Hi-Standard Series MVP series title. For the official word from Vans including tour dates and resorts, please follow the jump. Vans is launching a brand new signature apparel collection this October from global skate team rider Gilbert Crockett. Known for his distinct skate style and affinity for all things vintage, Crockett’s signature apparel collection is inspired by Americana classics, featuring baseball wovens, collared short sleeves, applique felt detailing and a roomier canvas chino pant reflective of Gilbert’s inimitable personal style. Crockett also integrated design influence from fellow compatriots, Quasi Skateboards, a premium skateboard deck brand he co-founded in 2015. For all the details, follow the jump. Vans Pro Skate has launched Gilbert Crockett’s second signature model in all new fall colors. It’s like a September trip through Vermont, but for your feet. Now available in Gun Metal/Gum and White/Black, the Vans Crockett Pro 2 boasts a new and improved outsole that utilizes the performance advancements of Vans Wafflecup technology, providing the premium support and board feel demanded by skateboarders everywhere—the best of both worlds. For the official word from Vans, please follow the jump. 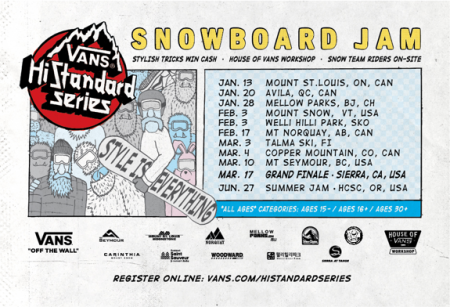 Vans kicks off 2017 with the return of the Vans Hi-Standard Series, an international all-ages contest inviting snowboarders to showcase true style and expression in an exciting open-jam format. 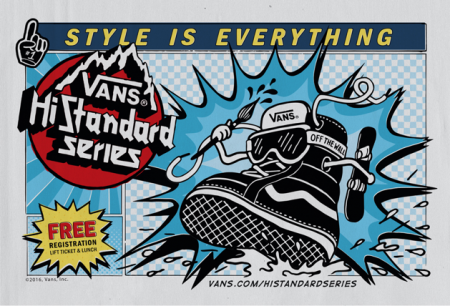 With a new stop in Switzerland and a grand finale in California, the Vans Hi-Standard global series will be touring across the US, Canada, Switzerland, Korea, and France. The inclusive snowboard jam will feature an original big air jam format where riders are judged by individual style only, with no rotations over 720 permitted. For the grand finale, Vans will bring a new, non-traditional feature into the fold by creating a unique custom-spec course, where riders are encouraged to push the boundaries of their creative expression. For all the detail, please follow the jump.